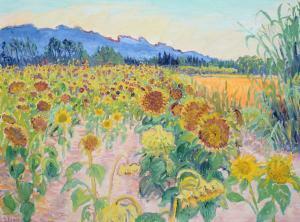 Find artworks, auction results, sale prices and pictures of Frederick Gore at auctions worldwide. 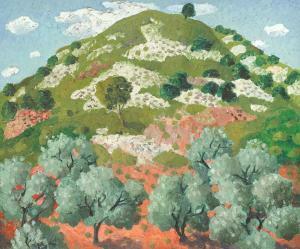 Frederick Gore C.B.E., R.A. (British, 1913-2009) Near Maussanne oil on canvas 55.5 x 66cm (21 7/8 x 26in). Footnotes Provenance With The Redfern Gallery, London, where acquired by Sir Colville Barclay, 6th December 1937, and thence by descent to the present owner Private Collection, U.K. Exhibited London, The Redfern Gallery, Recent Paintings by Frederick Gore, 2-24 December 1937, cat.no.16 The present work was included in the Artist's first solo exhibition held at The Redfern Gallery, the same year he left the Slade School of Fine Art. 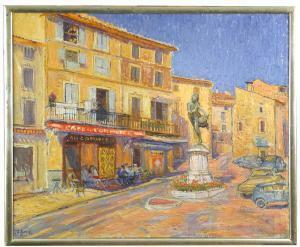 § Frederick Gore, CBA, RA (British, 1913-2009) The Little Drummer Boy Arcole at Cadenet signed lower left "F Gore" oil on canvas, in a silver slip 83 x 102cm (32 x 40in) Provenance: Given by Frederick Gore to his neighbour in Bonnieux, France, and by descent The silver slip frame is broken at the top. Condition appears fine. 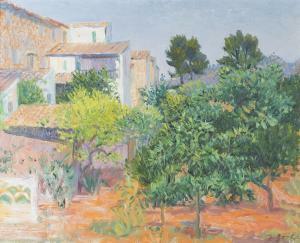 Frederick Gore - Back Garden, Sóller, Majorca, mid-20th century oil on canvas, signed recto, label verso, 64.5cm x 80cm, within a gilt frame. 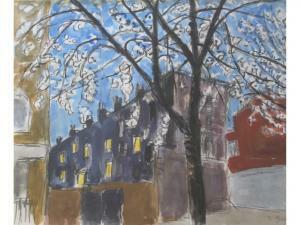 Provenance: family history suggests the artist removed this work from the Mayor Gallery, circa 1956, and sold the work directly to Mr Mount, who later gifted the work to the current vendor's mother.